We've been hard at work on an incredible new short film, "Portent", and we're thrilled to share the teaser trailer. First, If you are not familiar with Director \ DP Phil Artnz, this post will hopefully give you an introduction. An incredible, up and coming director and director of photography, I met Phil online through a private Facebook group for filmmakers after being amazed with some of the work I was seeing from him. Consistently stunning and unique, I reached out to him and we started chatting. It wasn't long before we both realized we were on the same page creatively, and we started to discuss color grading a short film he was currently working on, titled "Portent". After some discussions about the emotional impact of the story, how to best visualize it, and a few tests, we settled on a very restrained look: using a 35mm Kodak print stock as a reference, which gives the super clean 6K image from the RED Dragon some texture and adds a bit of an analogue feel, without feeling vintage. Please check out the teaser trailer and leave a comment. We're love feedback, and we can't wait to share more as we can. Be sure to follow Phil on twitter and Vimeo , and keep an eye out for more articles on Portent from both Phil and I as post production progresses. Like many artists, I find inspiration when I see really great work from others. It's very interesting to see how others work in a craft that has almost limitless options and tools. 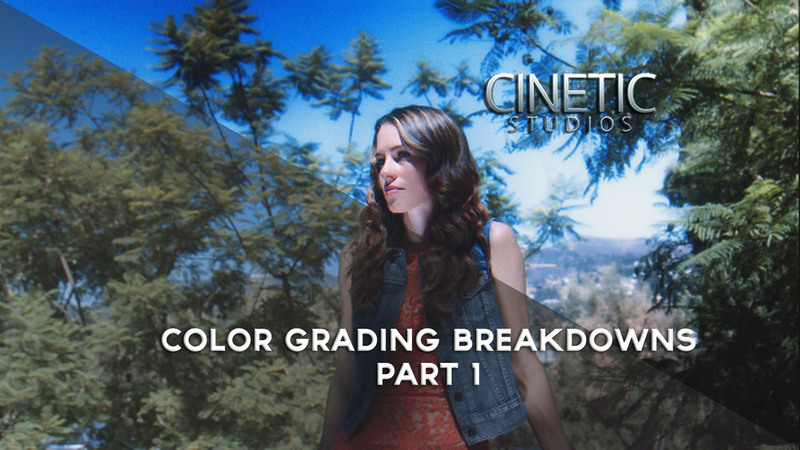 In the arena of color correction and grading, I feel one of the more interesting demonstrations are color breakdowns, or layer by layer deconstructions which show the creation of that specific look. I've gathered a few interesting breakdowns as inspiration for how a look is build up in layers, and not applied all at once. This is a new style of post, so please let me know if you like it by leaving a comment. I hope these color breakdowns have been educational and inspired you to pick up a style, technique, or tool you saw that you never previously knew about. Its this reason I find breakdowns and behind the scenes so useful, as they seem to become more useful as you learn more about your craft and can pick up small, subtle techniques used by others more talented in that field, whether it be color, editing, or learning non-film related skills in your everyday life.